A new list of influential men includes the MHF's chair Professor Professor Alan White. Men's Health magazine have published a list list of the 100 men who they believe most shape the lives of their fellow man in Britain. 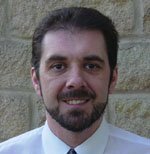 In at number 61, nestled between Damian Hurst and David Miliband is Alan White, Professor of Men's Health at Leeds Met University and chair of the MHF's board of trustees. It's a prestigious list and quite a tribute to the worlds' first professor of men's health. 'Having the work of the Forum and the Centre for Men's Health in a list such as this suggests that we really are making an impact on men's health,' said Alan. 'This is a great vindication of the work of us all'. As ever with these lists, it's an eclectic and at times bizarre collection of men who have little in common. A matter of opinion, of course - toadying Men's Health journalists have included their own editor at number 100 - but interesting for all that. Top is Sergey Brin, co-founder of Google followed by Stephen Quake, the Stanford academic who recently became the first man to have his entire genome analysed. Jamie Oliver's right up there at number six with the prime minister at number eight. Apple's Steve Jobs - no.22 - is above Bill Gates - no. 26. David Beckham makes it - he always does - as does marathon running comic Eddie Izzard. Lancet editor Richard Horton is in. So's Richard Dawkins. Yes, Alan's in esteemed company - men's health is making an impact.